We are finally at a time in the year when bank holidays are rife and the promise of sunshine lures us into a (false) sense of security. And for the traditional Monday to Friday worker, this provides us with ample time to freshen our pursuits and utilise this gift of additional non-working days by the British Government with little trips out of the City or at the very least, lengthier journeys in order to meet far away friends. It seemed that the majority of my own circles had decided to ride the airways however as a resourceful London resident, I would never be lacking in ‘things to do’ by being the grounded amiga. I can at least be honest and admit that in my current position and lifestyle, the grass has been nothing but greener since my move North of the river. And please note, I do not cast dispersions on the South, what a shameful thought that would be! 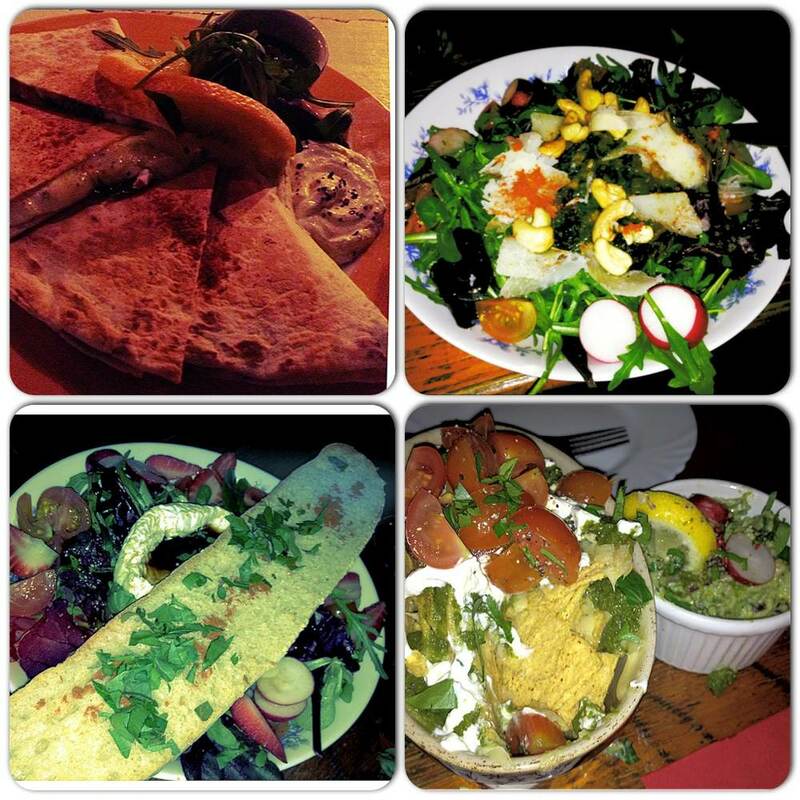 I have many pleasurable places that if I were to be in the neighbourhood again, would eagerly dine or visit. I simply conclude that there is a clear change in demographic and increase of choice when it comes to breaking away from domestic banality on your weekday or weekend nights (and without ruining your closing-time merriment so often spoiled by the journey home). On this time-abundant Easter weekend, I was welcomed by invitations and opportune outings to new places to eat and drink, as well as revisiting one already pre-existing fond haunt. Since working in the area too, I have had the pleasure of acquainting myself with the wonderful folk nearby and whilst East London is strewn with some po-faced hipsters and fashionistas, I tend to penetrate the smilier crowds, who reflect a gaze back with warmth rather than sterile judgement. And so the adventures began and as with all new love affairs with food and drink (at least in my own mind’s eye), the prospect of re-entering their doors makes these experiences all the more riveting. A spot recommended by a dear friend (whom I will ensure to relish the company of more often, never forget whom your friends are!) which happens to be luckily within hops and skips of her door, this Scandinavian influenced kitchen opened only a few weeks ago mid March. A distinct sideline painted alongside their building is meat-fish-veg – which simply backs their philosophy which can be read inside on their menus, that of which is to concentrate on cooking with these ingredients well and ensure optimum nutrition and taste is maintained in the process. Such clear communication and transparency is unusual in many places, with restaurateurs preferring to keep the source of the final plate you see as a guarded secret. No secrets here to be found though with the seating area bordering delightfully to their open plan kitchen, which allows a sense of familiarity as you await your host to serve you in their refined country-house kitchen. Design seems key in this establishment, with clean glassware to serve hot and cold beverages and freshly cut posies of country flowers on each table. The staff looked almost Amish in their attire with clean black aprons and a considered elegant simplicity in style which suited the background perfectly. We arrived to a wide selection of cakes at the counter and an enclosed refrigerated case which held platters of topped rye breads including choices of meatball & beetroot, herring in mustard sauce and a blue cheese mixed with rocket and asparagus. As a veritable lover of food, my senses tingled with delight at everything my eye saw and the brunch menu drew no less excitement. 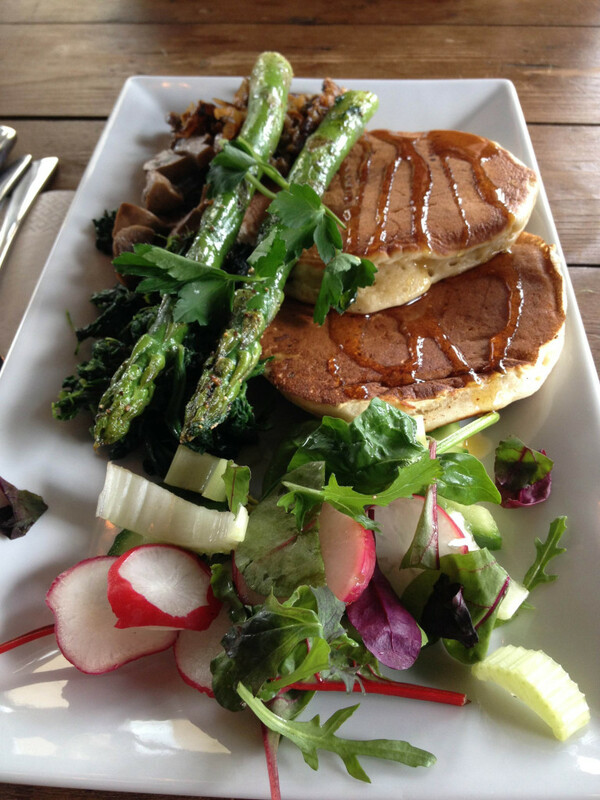 Bountiful choices including many vegetarian offerings (we chose the 3course Veggie Brunch) and were accompanied with your choice of maple syrup drizzled pancakes or French toast. We barely sampled the menu which was a (usually) unheard of reaction on my part, however we were more focused on sourcing an alcoholic beverage (but be assured a licence will be landing soon at 3 course, a grant that will mean much longer brunch trips in future). I can express my enthusiasm though and the owner with wise eyes behind the kitchen counter clearly has a passion for delivering high quality and ethically produced food, all of which I will animatedly come back to taste in the foreseeable future. I can enthusiastically talk about both of these places in unison as they are both co-owned by a delightful woman who I had the pleasure of acquainting myself with a few months ago. Cristine Leone (whose nature is as warm and delicious as her food) operates both an Mexican/South American inspired eatery Viva! Tapas, at the meeting point of junctions Dalston Kingsland and Stoke Newington High Street, as well as her newest abode, that of Ivy’s Mess Hall, which is also run with another lovely chica Christine, whose Greek roots will no doubt inspire menus too. 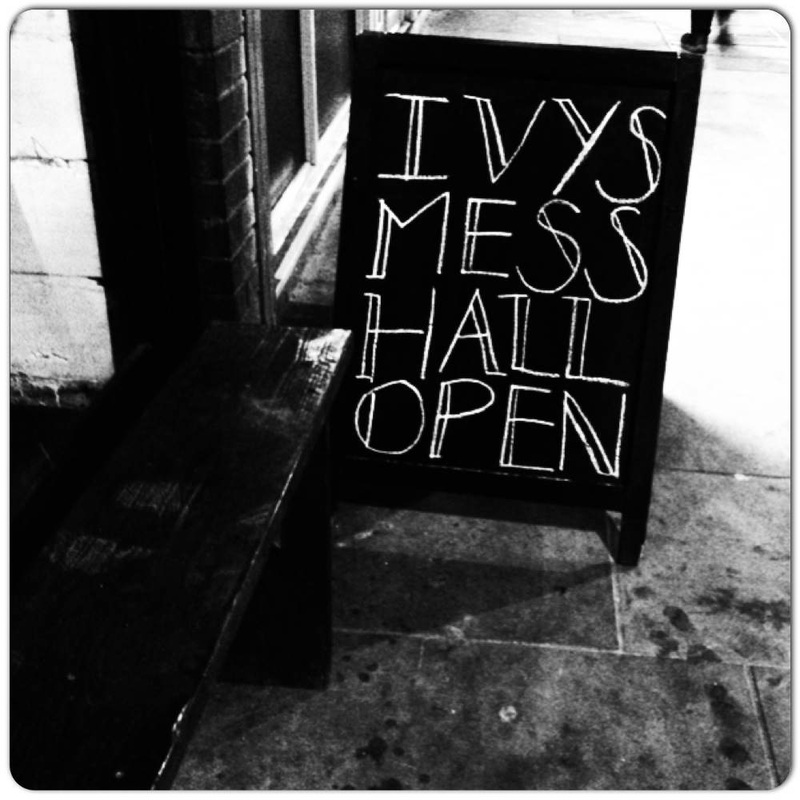 Ivy’s Mess Hall opened it’s doors at 129 Kingsland High Street on a Good Friday which I was lucky enough to pop along to. Their focus is to provide good coffee (in this case by Monmouth) as well as a diverse menu incorporating the Mediterranean and South American influences behind-the-scenes. Mini film screenings are also intended to provide a backdrop to their establishment and I much look forward to seeing the visual treasures they decide to project. 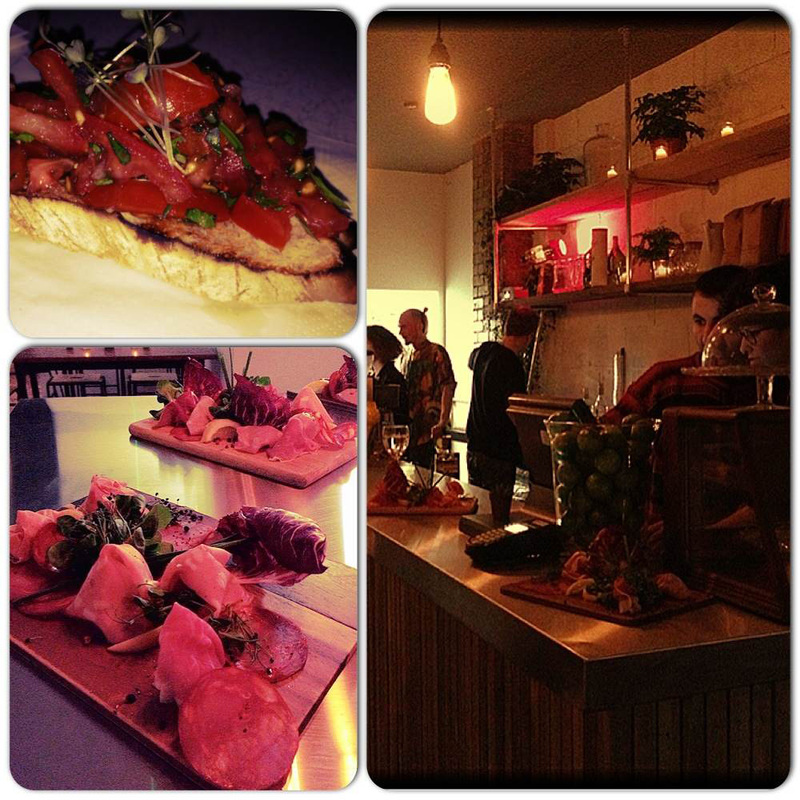 Food provided at the soft launch were meat platters containing Italian slices of joy (sourced from local delicatessen Gallo Nero) as well as some bruschetta rustled up by Cris herself. I anticipate the kitchen will be churning out applaud worthy plates with Cris at the helm and with the gorgeous team I met that evening, Dalston will be eating them up quickly. Viva Tapas & Bebidas opened over a year ago in Dalston but I only recently ingratiated myself through their doors based on their commendable sourcing of meat (namely Meat N16 for their dishes). The initial outing occurred with my team of friends from said Butchers back in February and I have developed an alarming addiction to their food ever since. Whilst the name might suggest little plates of cheese, sizzling gambas and padron peppers, you will actually be (more) pleasantly surprised. There is more of a South American feel to the dishes and you will instead find highly salivating options including 3 types of Quesadilla, Nachos with a homemade guacamole & divine cherry tomato salsa, as well as mains that do not scrimp on satisfaction including a large baked mushroom stuffed with spinach and topped with pecorino and cashews, a King Prawn & Plantain coconut curry and a moan-inducing Baked Brie, served with a hunk of toasted bread to plunge into the warm, oozing case of fromage. A good sized amount of salad surrounds most of the dishes too, a generosity that I find rare (how often have you had just a small sprinkle of pitiful looking leaves as an afterthought?) so space out your orders as you will reach satiety sooner than you think. It is not only the food menu though that will leave you heaving with gluttonous contentment. 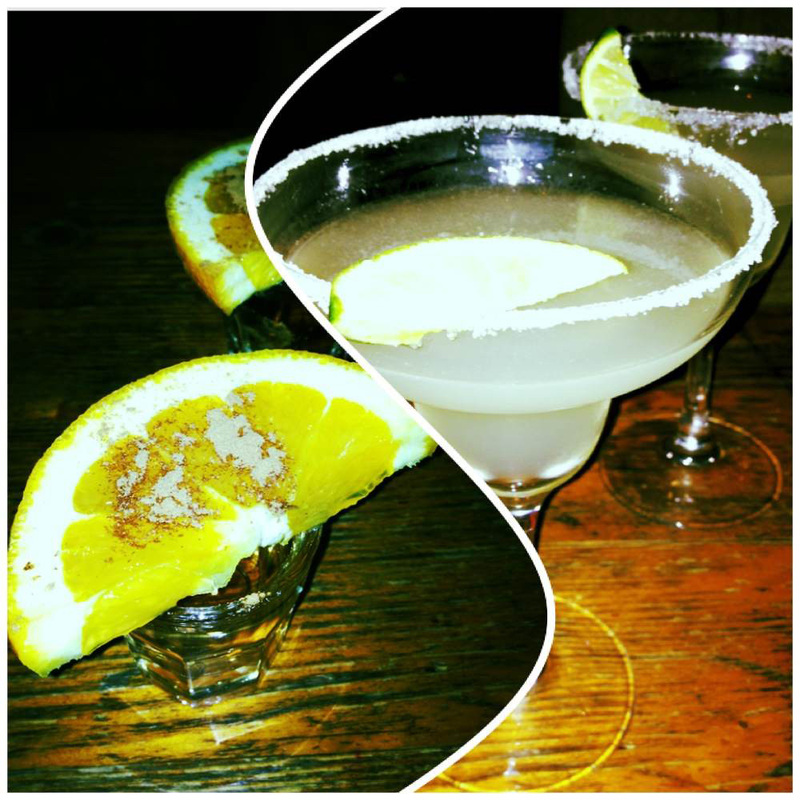 Their cocktail menu is not only diverse but highly proficient, and the bartenders making these are wonderfully creative as well as highly knowledgeable. I will state now that their Margaritas are the best I have tasted in London, with experiences on at least 5 separate occasions all incurring the same consistent good standard that I continue to enjoy. The staff are adorable, the food is as captivating as their drinks menu and the atmosphere with dimmed lights, candles on tables (with a traditional Mother Mary illuminating your order) and a gold tequila accompanied by cinnamon sprinkled orange wedge as your digestif can only leave you amorously intoxicated when you sadly have to depart. If you arrive in low spirits, you cannot possibly leave the same way as the food and drink touching your lips can only induce a wide smile. After repeatedly debauched weeks and evenings indulging my seemingly insatiable enjoyment of good food, wine and company, I will be indefinitely abstaining from said lifestyle in order to re-calibrate a bit. There is no dishonor in maintaining an equilibrium by the way, such withdrawals merely heightens the reunion with long missed fodder & beverages. Or a highly prized Margarita in some cases.